Patrick McCarthy is one of the few foreigners to teach karate-do in Japan. Moreover, he is recognized worldwide as one of the foremost authorities on the civil fighting traditions of Okinawa. He is also the first Westerner ever to be awarded the coveted Kyoshi 7th Dan Teacher's License from the Kyoto's prestigious Dai Nippon Butokukai. He has been practicing karate-do since the 1960s, and also studied a variety of Chinese, Southeast Asian, and western fighting arts. 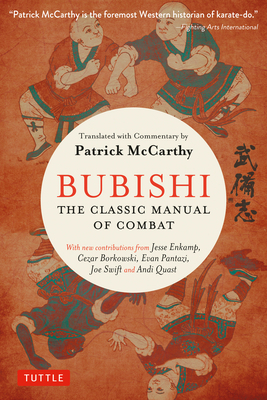 He is a 9th Dan and is also the author of Ancient Okinawan Martial Arts Volumes 1 and 2.